Review: Nowhere to Hide / It's Just Movies Review: "Nowhere to Hide"
America may be lacking moral leadership these days, but its vigilance and ethical spirit are stronger than ever. This year’s powerful 2017 Human Rights Watch Film Festival (HRWFF) in New York City features the most crucial issues of our time, opening with a candid documentary on the current situation in Iraq. In retrospect, despite worldwide protests, the Bush administration led America into an 8-year war in 2003 where over 11,000 Iraqis were killed and their infrastructure was bombed to smithereens. It was televised. Eight years later, the day America officially left Iraq, a medic is asked, “What are your thoughts about the Americans pulling out?” He responds, “It’s a new beginning for us Iraqis. Like many others, I am very happy to see the country freed. 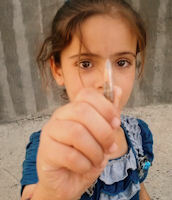 To be independent is a beautiful thing.” Then he is given a camera to use over time to document how Iraqi life changes. The medic is Nori Sharif, an emergency nurse at a hospital in Jalawla, a town about 100 miles north-east of Baghdad. His camera footage provides the honesty for this revealing documentary. 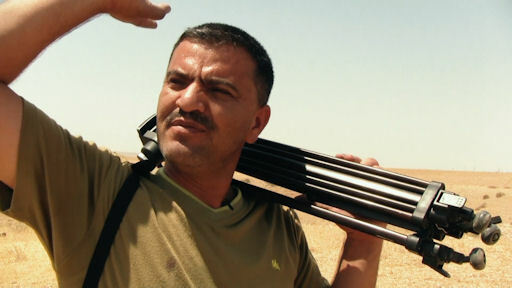 Zaradasht Ahmed, the Kurdish/Norwegian director and photographer who gave Sharif the camera, was born and raised in Northern Iraq. His access and vision help guide a candid glimpse of a people shredded by violence and poverty. At first, Nori shows how some of his community members were ruinously affected by the American War: lost legs, paralyzed bodies, dead husbands/fathers, destroyed homes and a shattered economy. He juxtaposes this with footage of his own family which, he admits, is doing well. Then he takes footage of his well-equipped, modern-looking hospital. But soon a scarier reality emerges and transcends all previous horrors. The first conflict is between the Shia and Sunni. Then there is another between the Kurds and Arabs. Then conflicts between different tribes, one tribe fighting the other. Then it is the Christians versus the Yazidis, whoever they are. Eventually, Nori no longer knows who is a friend or foe in his own neighborhood. When the hospital is attacked he rushes home and loads his family and all they can get into their car to begin their escape. Still diligently recording his environment and his life, he explains that a farmer’s two sons were kidnapped on the way to school. Not long after the father found them, but only their heads. What is for sure, the cruel dictatorship of Saddam Hussein and the American War, as Nori calls it, were not as bad as what exists now – the total disruption and destruction of culture and family. What happens to Nori and his family fills the remainder of the film. But Ahmed, the dedicated filmmaker, has more on his agenda. 1. Help get “Nowhere to Hide” seen by politicians so that policy changes begin. “Nowhere to Hide” plays June 9 at 6:30 p.m. at Lincoln Center’s Walter Reade Theater in New York City and in other selected cities around the world. Following the film in NYC is a discussion with filmmaker Zaradasht Ahmed and others involved in this film project.